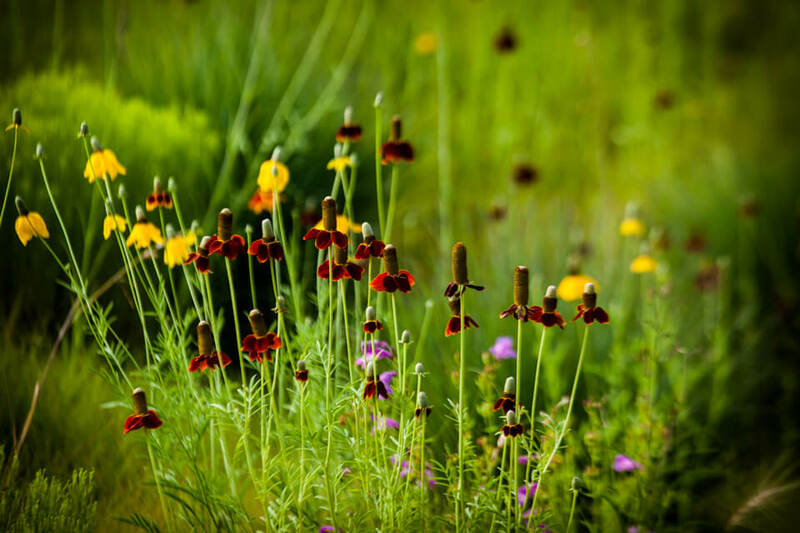 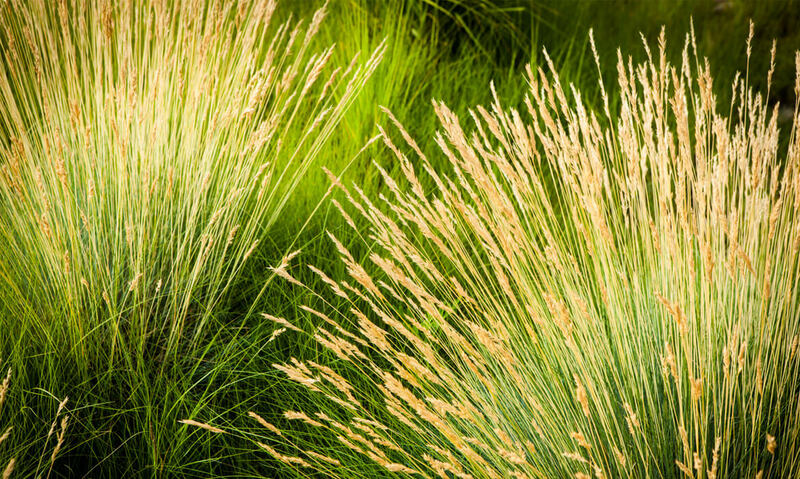 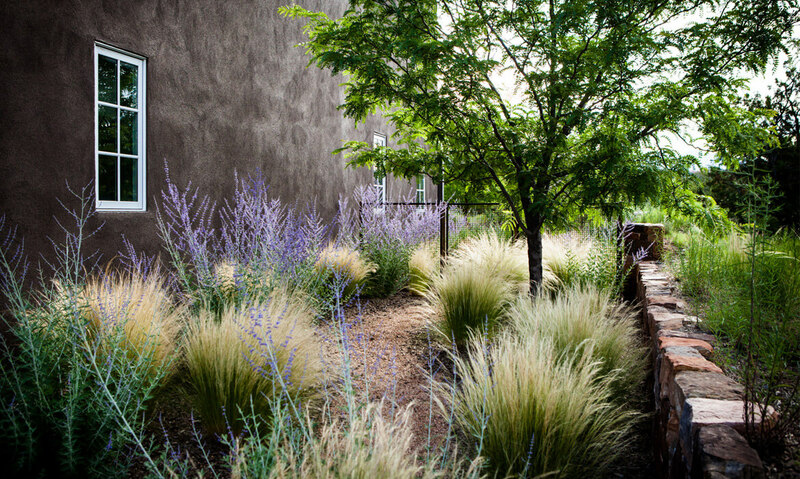 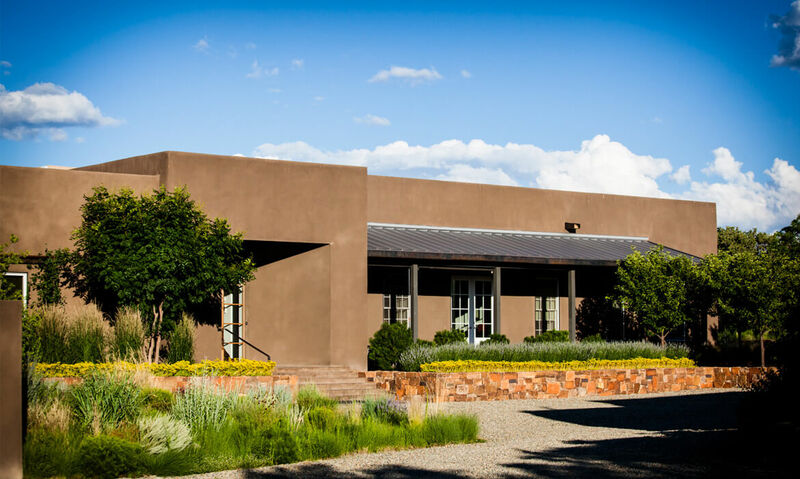 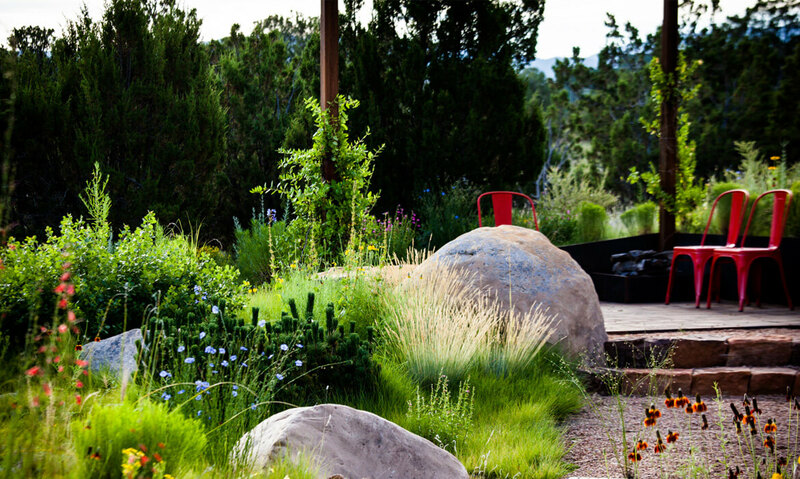 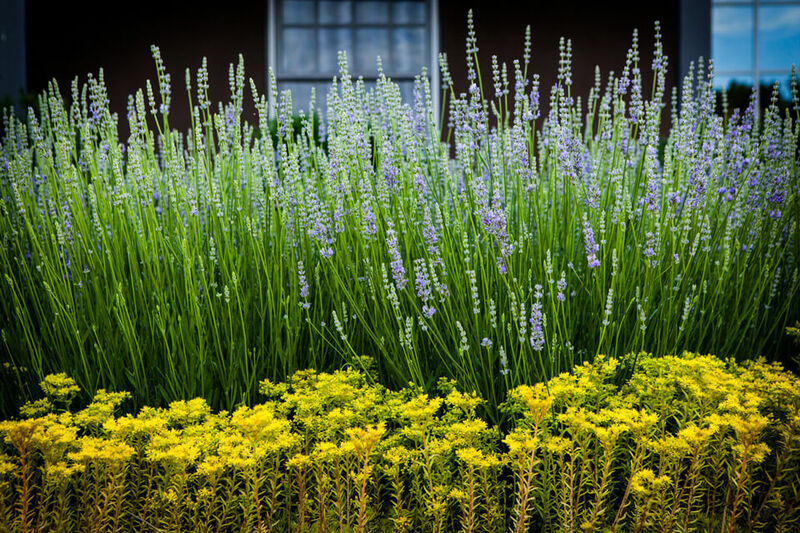 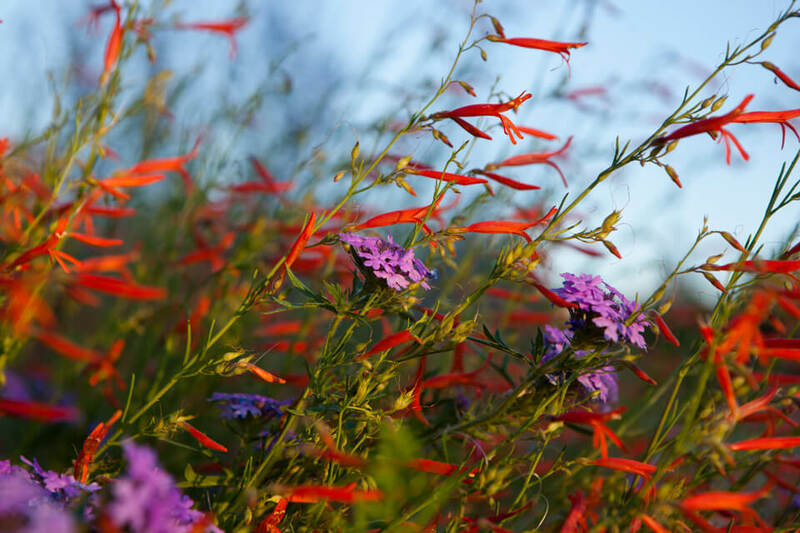 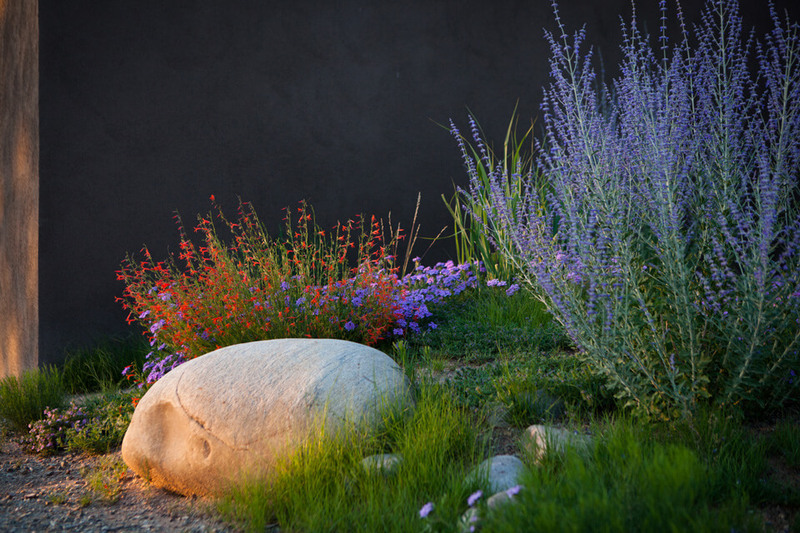 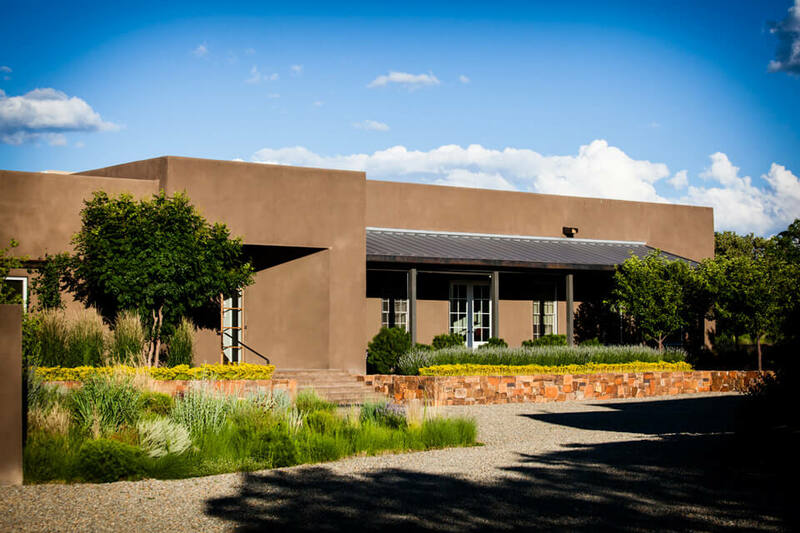 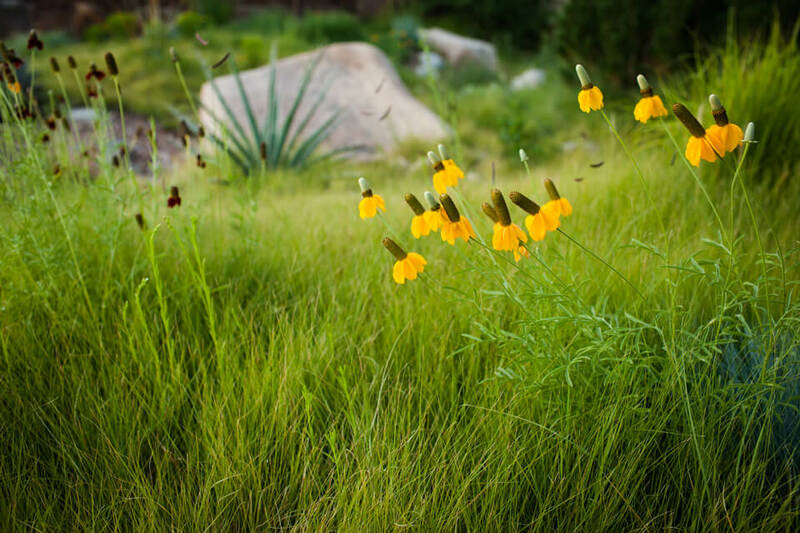 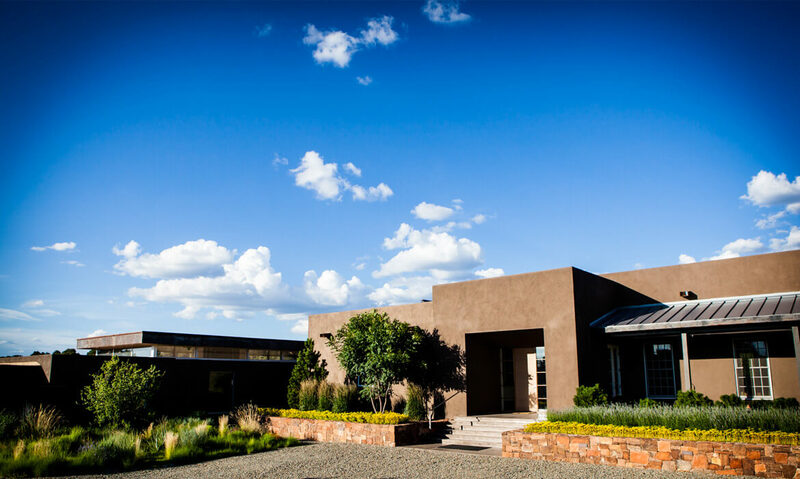 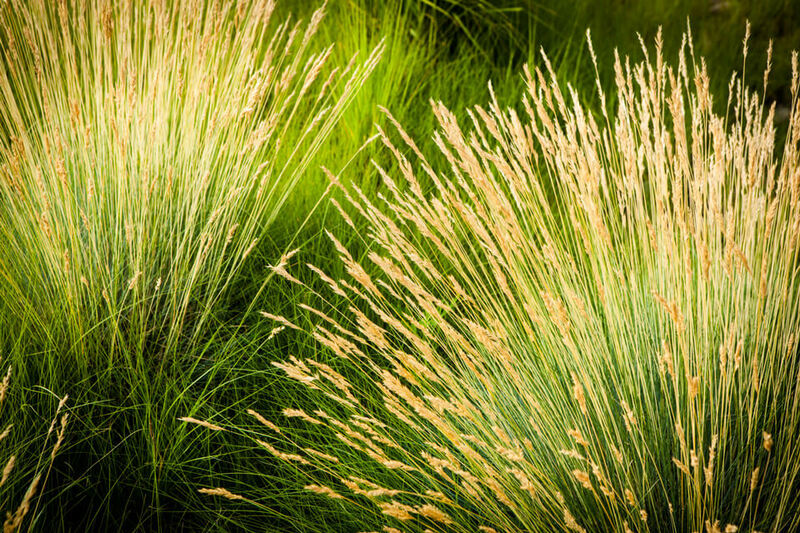 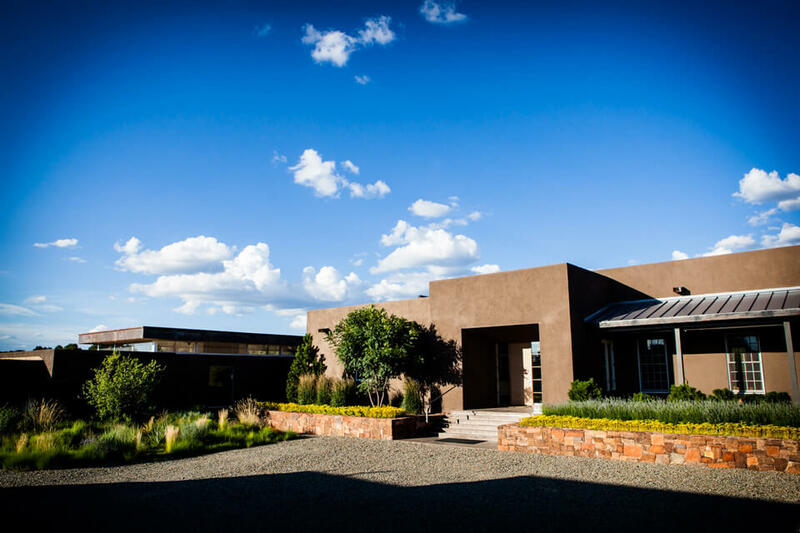 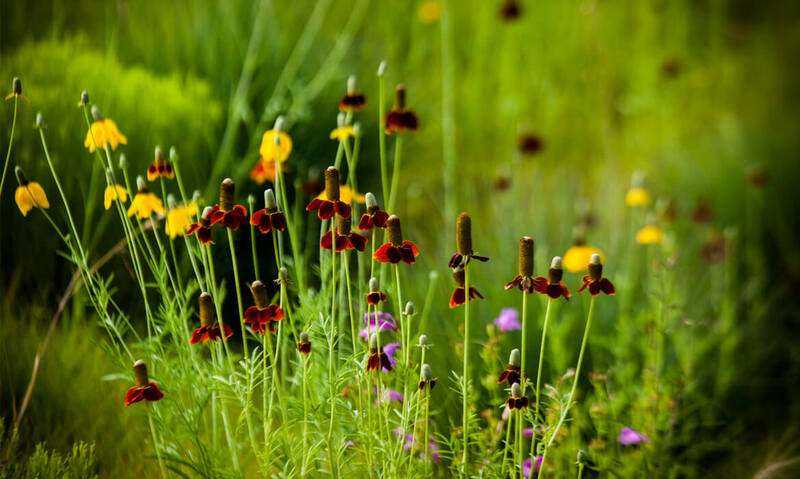 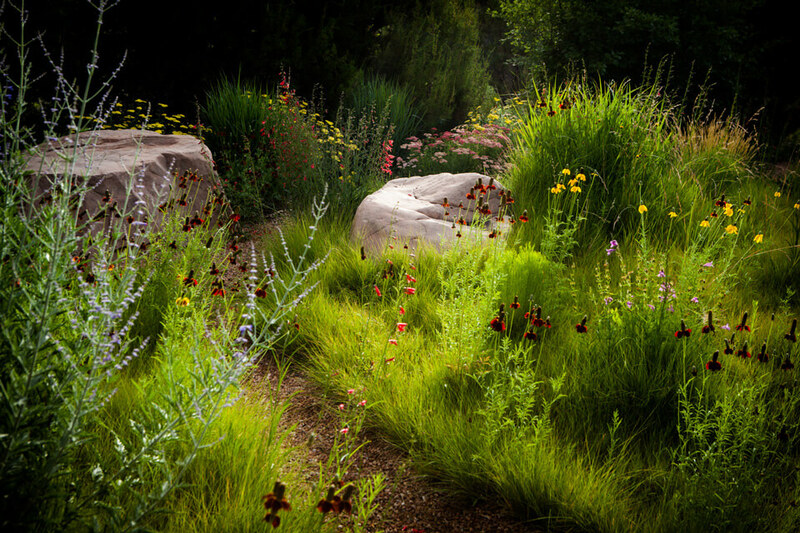 The Paschall project is an example of how gardens help situate a contemporary architectural plan within New Mexico’s regional shrub/desert environment. 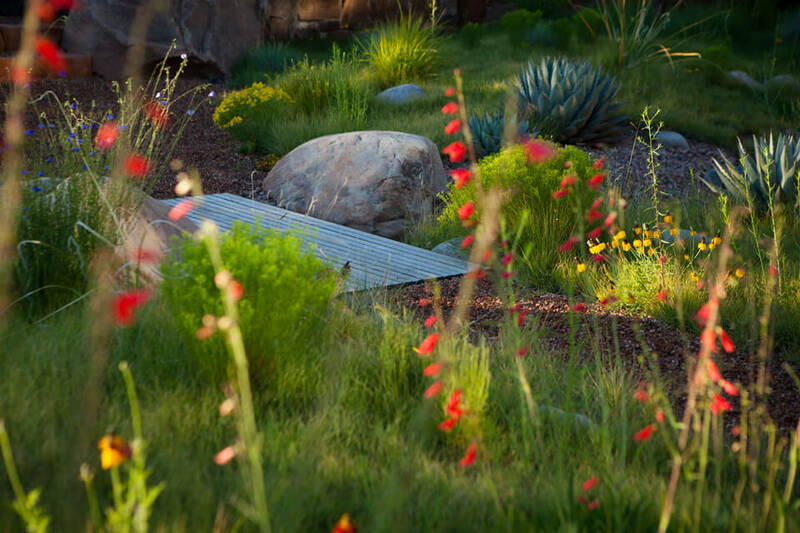 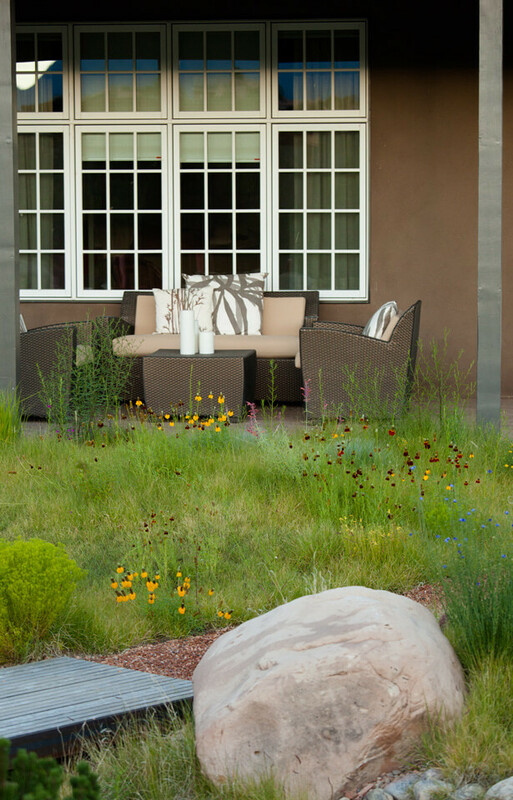 The landscape design is inspired by the relationship between soft, organic forms and hard, geometric shapes. 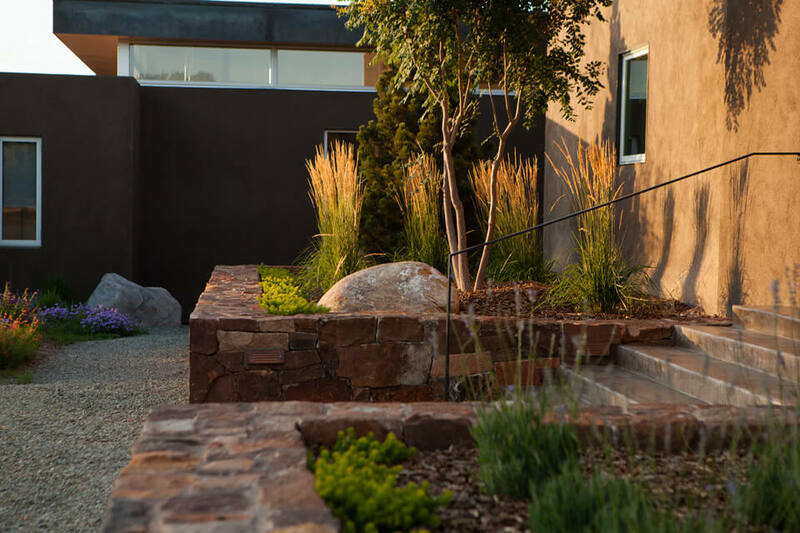 When these disparate aesthetics are juxtaposed, they complement one another, each becoming more authentically beautiful and balanced. 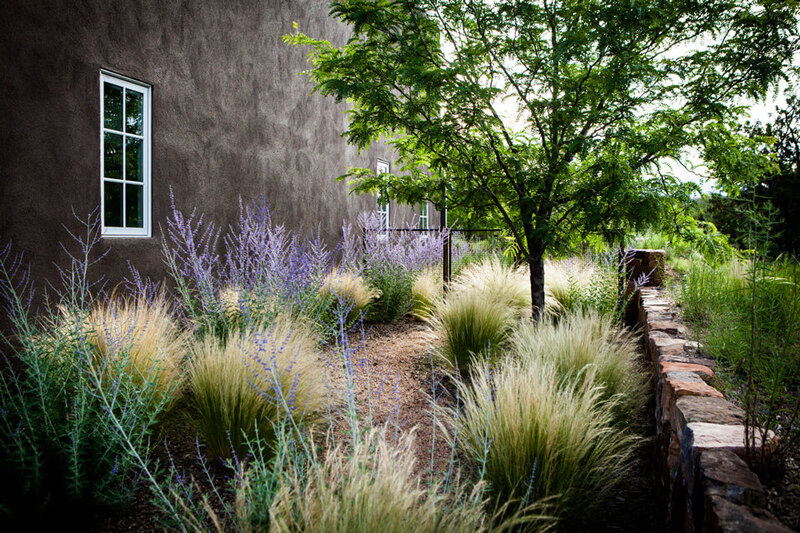 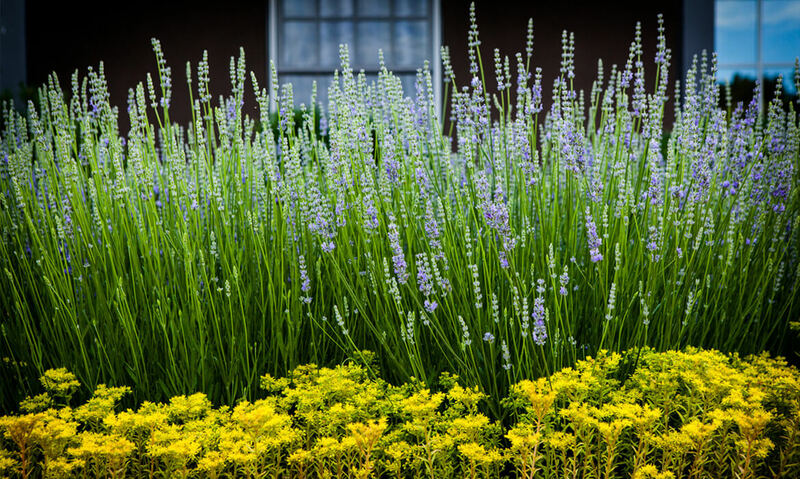 In the entry, a grid of crabapple trees stands near flowing grasses; lines of sedum and lavender play off of clusters of Big Tuna Mugo Pines; upright ornamental grasses are planted near a character Goldenrain Tree. 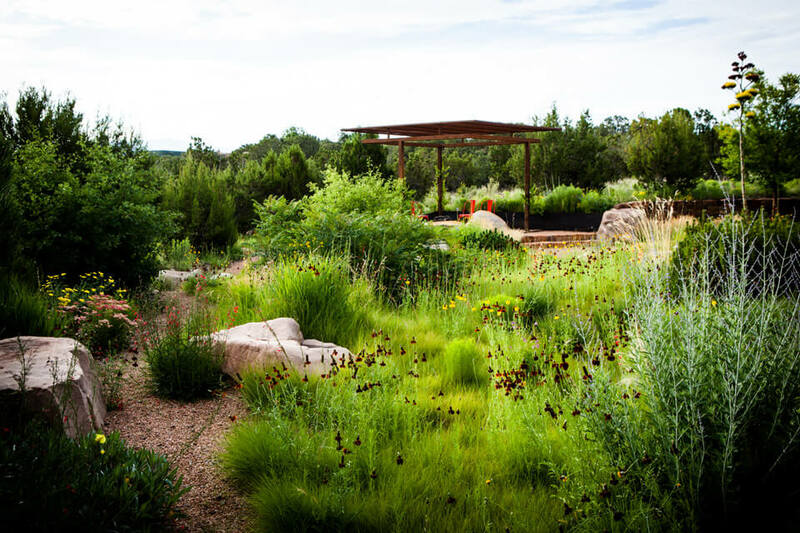 In the back garden, super-sized boulders naturalize a constructed meadow, and crossing a dry streambed a linear wooden bridge connects to the three-legged steel arbor that boasts a metal mesh pop-up ceiling and corner fire pit. 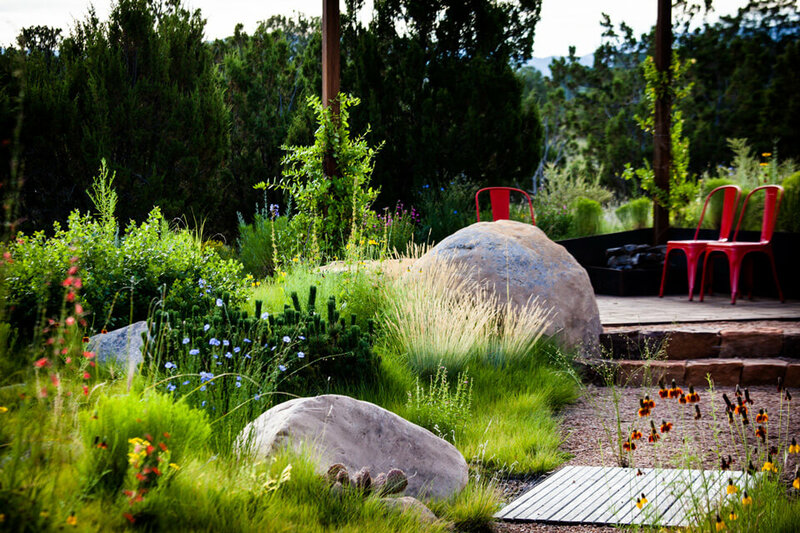 Mortared native rock walls define grades and boundaries while an interplay of native shrubs, perennials and grasses freely express their exuberance; a rounded boulder is used for a fountain near the linear brick paved portal; and steel mesh enclosures for a vegetable garden and outdoor cat room are off-set by clusters of trees and bamboo. 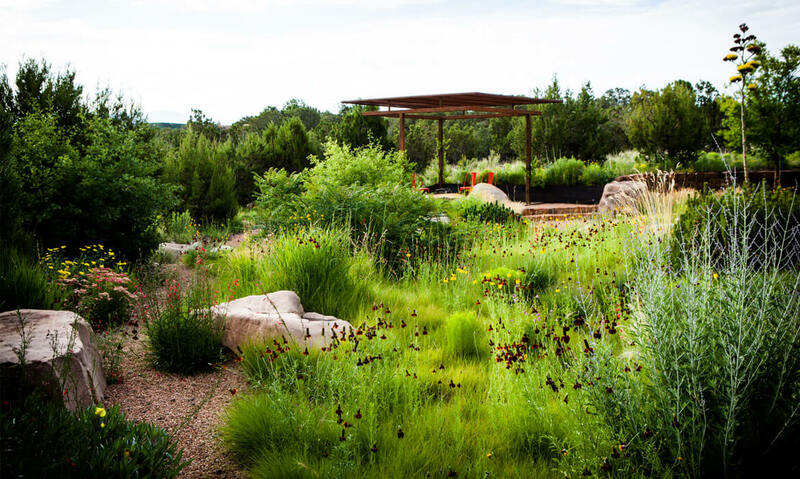 Roof water and surface runoff are directed to a large cistern where an automated irrigation system then distributes water to the plantings.